A telescoping bird feeder pole allows you to keep the bird feeder away from predators such as cats, while still making it easy to reach for cleaning and filling. Store-bought models are effective, but expensive. The solution: make your own. 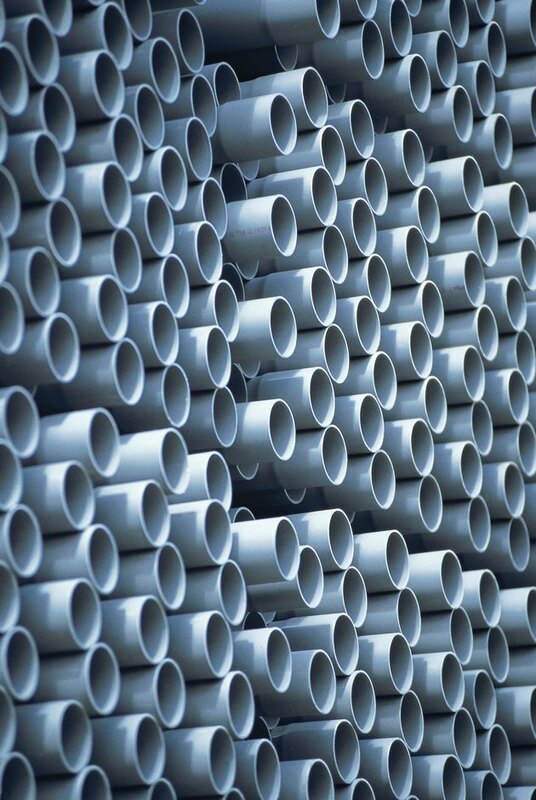 This may seem daunting, but construction requires little more than a couple of pieces of PVC piping and some ring pins. The finished product is easy to use and keeps your fine-feathered friends safe from harm. A trip to your local hardware store yields all you need to make a telescoping bird feeder pole. Drill two holes in the side of a 1 3/4-by-60-inch PVC pipe using a the drill bit and an electric drill. Place the holes directly opposite of one another in the side of the pole, spaced 6 inches down from the top edge. Drill two more holes in the side of the same pipe, also using the same drill bit. Place these two holes opposite of one another, 12 inches down from the top edge of the pipe. The two sets of holes gives you the option of moving your bird feeder to a higher or lower position. Drill two holes in the side of a 2-by-48-inch PVC pipe using the drill bit. Place the holes across from one another, 6 inches from the bottom edge of the pipe. Put the 1 3/4-inch wide PVC pipe into the ground. Insert it so the end with the holes is upward. Push the pipe down until 10 inches of it is underground. Attach a 2-inch flange onto the bottom of your bird feeder. Drill one 1-inch screw through each of the four holes for attachment on the flange. Apply PVC glue to the inside of the flange and the end of the 2-inch pipe. Put the flange on the end of the pipe opposite the holes. Let the glue dry overnight. Slide the 2-inch pipe over the top of the 1 3/4-inch pipe. Slide it down to align the holes in the larger pipe with the holes in the smaller pipe. Use the higher set of holes in the smaller pipe for higher position for the birdfeeder and the lower set of holes for a lower height, as desired. Insert the ring pin through the holes in the outer pipe, passing through the inner pipe's holes and out the other side.